Before modern organized crime could be established in America, it was necessary to bump off those Italian and Jewish gangsters who were not responsive to the notion of a national syndicate. In the case of the Italians, Lucky Luciano solved the problem, exterminating the leading Mustache Petes, old-line mafiosi who were set in their ways and incapable of cooperating with other ethnics, and often loathe even to ally themselves with mafiosi from other Sicilian villages. Lansky's plan was opposed principally by Waxey Gordon, the bootleg king of Philadelphia. Both he and Lansky had been "brought up" by Arnold Rothstein, perhaps the finest criminal organizer of the 1920s, not illogically nicknamed "the Brain." After Rothstein's murder in 1928, ill feelings between Lansky and Gordon erupted. 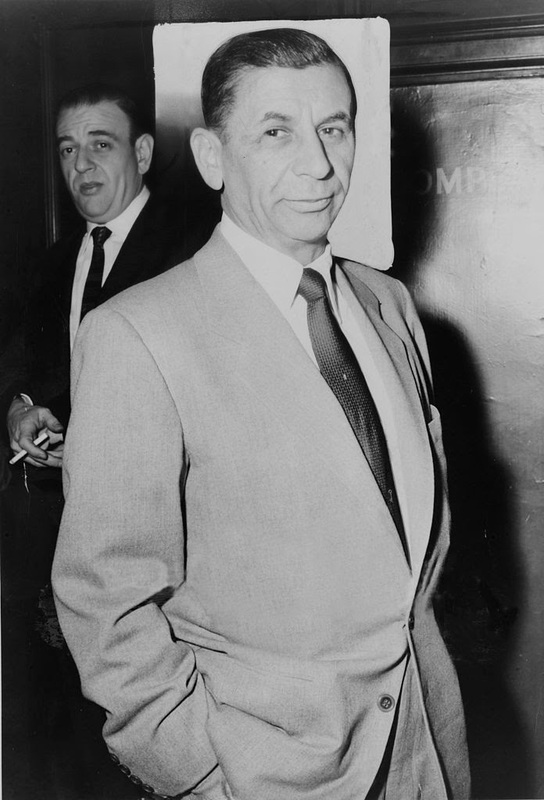 Gordon suspected, rightly, that Lansky (and Luciano) had frequently hijacked his liquor shipments while Lansky suspected, rightly, that Gordon sought to make deals with Luciano's enemies within the Mafia. The feud turned bitter and violent and each side suspected the other, undoubtedly rightly, of several gang murders. Luciano for a time tried to act as peacemaker, but, by 1931, Lansky and Gordon had come to blows in what became known as the "War of the Jews." Luciano realized that one or the other of the Jewish mob leaders would have to go, and that leader would not be Lansky. Just as Lansky had helped solve Luciano's Mustache Pete problems, Charley Lucky now took care of Lansky's. It was Luciano who decided the solution lay with the government. Internal Revenue was, at the time (1931), trying to levy tax evasion charges against Gordon, but their case was weak and sketchy. Luciano saw to it that all sorts of incriminating documents reached officials. Gordon was sent to prison, never realizing the true cause of his woes. Lansky saw that, with the end of Prohibition, the future in booze lay in controlling legitimate trafficking of imports. His natural rival would undoubtedly prove to be Charles "King" Solomon of Boston who handled much of the scotch whiskey entering the country. Solomon's murder took care of that detail, and shortly after that, Lansky's ethnic creation, the Jewish Mafia, finely honed by him in the early 1930s, became the dominant element in syndicate crime along with the Luciano forces. The "War of the Jews" had ended in a momentous victory for organized crime.